An Unexpected Result, or Fitting? 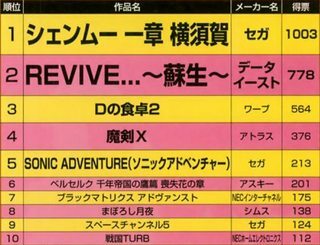 Shenmue Takes the Top Spot. 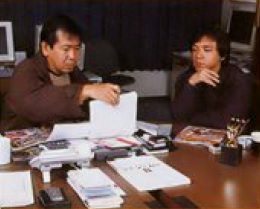 Yu Suzuki’s initial reaction on getting the Best Script award are the words “Perhaps there weren’t many other competitors...” Despite this, there’s no doubt that the Script award places importance on the extent to which a creation remains in one’s heart. Speaking from this point of view, Shenmue is a title that affects the hearts of people who have played it in more ways than one might expect. And wouldn't many of us confess to mimicking the way some of the characters talk...? 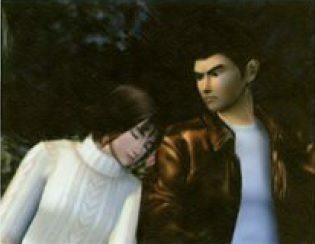 A small romance story was also to be found in Shenmue. “We did have a hard time with the script” Suzuki relates. DM: With such a big game, even the script construction must have been tough. 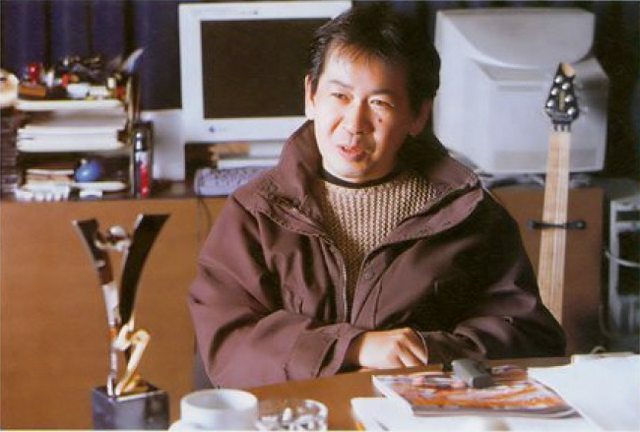 Yu Suzuki: For example, once the initial version had been created, we tried playing through it. 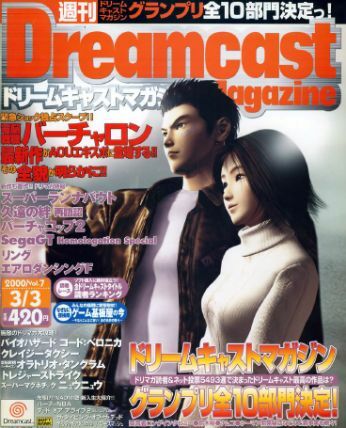 On doing so we came to places where we thought: “Actually, wouldn’t it be better to do it this way instead?” or “Wouldn’t changing it a little like this be an improvement?” This happened a number of times during the process of creating Shenmue. But whereas one might normally give up on trying to change something because it would be exhausting, or due to the amount of extra work it would bring about, we could see that it would make the game better and so we made changes constantly. We told ourselves that we mustn't shy from hard work, if it can be made even better. So because of this, changes to the script continued right through until the latter half of the project. If the script is not locked down the software can’t be created; along with the fact that various groups like Design can’t get started... that’s the kind of situation that occurs. The script is something that sits upstream of the game creation, so if it’s not hammered into place the whole thing is unable to move. Even though we were aware that a delayed script would effect each of these parts, but we strongly felt that we wanted to provide the best creation we could, which led to script changes being made through to the latter half. As a result, we found ourselves in a pretty sticky situation: not just the script-writing team, but the staff managing the flowchart connected to it, the staff thinking up the Events, the staff in charge of the FREE scenarios – everyone was caught up in it. The flags for the townsfolk changed; the software was also affected in various places; even the sound was affected. The influence of the script on the whole is truly huge. 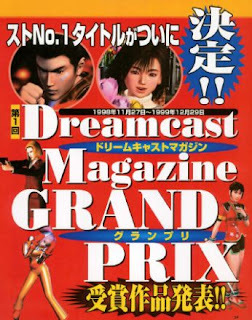 And, the outcome at the end of all sorts of troubles like this was - Shenmue. So in many ways, I’m really thankful to be able to receive the Script Award, and also glad we did what we did. To be frank, I didn’t imagine in my wildest dreams we would receive an award for the script. (laughs) For example, looking at the written comments received from everyone on the BBS, there were various remarks like, "It would be better if the story was a little more dramatic" and so on – so it’s an award that I wasn’t expecting! (laughs) But I’m happy to receive it. DM: Looking back on it, how do you feel? 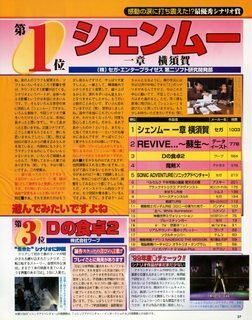 You announced at the March Game Show it would be released as “Chapter One ~ Yokosuka ~”. At that time there must have been a lot of additions and changes to the script, were there? Keiji Okayasu: Well, we had made the decision a short while before that, but it was a real ordeal! 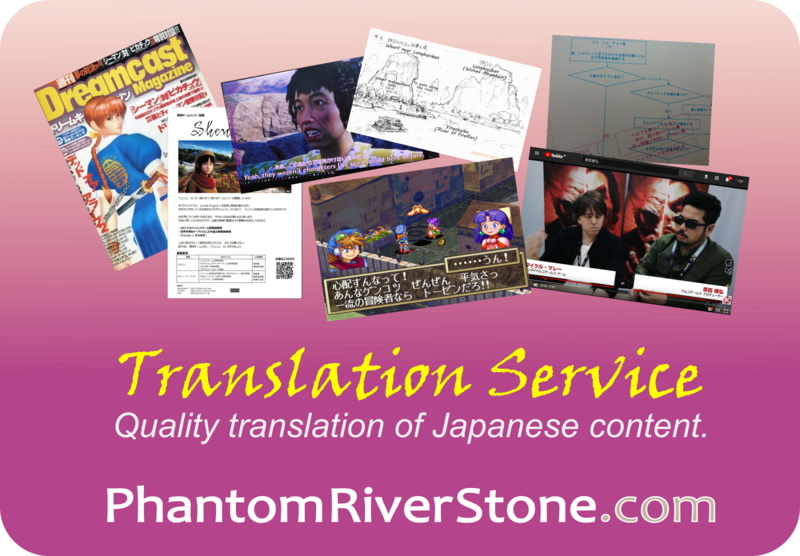 Figuring out how to adjust the script, and how to build the excitement up to form Chapter One, set within Yokosuka. We had to change the flow a good deal. It seems so long ago, I’ve forgotten a lot of it now though. (laughs) But it was tough. Halfway through, I started to second guess myself, wondering “Is it really OK like this?” and so on. It required strenuous effort, over and over. So if you were to ask me if I’m satisfied with how it turned out, some part of me still feels like we could have made it even better... but I’m really happy to receive an award like this. 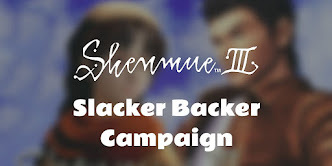 DM: Naturally, people who have played it will want to know how the script continues in “Shenmue Part Two”...? 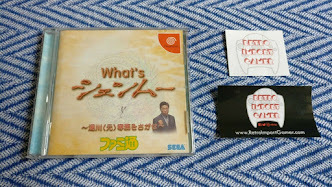 A document labelled “Shenmue II” sits in front! 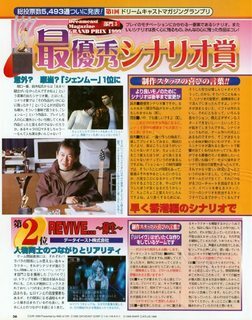 Yu Suzuki: A rough draft has been written, but of course adjustments will be made. What I learned from “Chapter One” is that some aspects can only be known by hooking up a controller and actually playing. So I’d like to get playing and start making adjustments early on. But in fact, as far as the script for the main plot, I’ve already written and rewritten it several times. Firstly, so that it would work properly as a game. In front of me here is the script for Shenmue 2 that I made in mid-December. Now I’m moving this into the center, and developing the parts that are lacking. Vote total is shown in the right-most column. I know there are some people who don't like the story because it is formulaic and not inventive enough, but I love the story. I have studied the martial arts since '85 and have loved "kung fu" films as a result, with the avenge/revenge theme being prevalent in 95% of those movies. (gross approximation, not actually tallied, Lol) I think this gives the game more charm as well as makes it fun to "play a movie". I am glad to see the developers had sucess early on! It will be interesting to see how it plays out going forward too (and how amazing we will get to see how it develops, at last). Do you think there'll be a "twist" that throws the usual tropes out the window?